The I-mop is powered by lithium ion batteries, which when in use will last for up to 1 hour. Further to this, with two sets of batteries continuous cleaning can be achieved as 80% of the charge is replenished in an hour. Also, as a bonus, the I-mop deck draws power from alternate batteries to ensure they do not over heat and last longer. Medium brush - teal blue bristles & teal blue locking hub - set of 2 brushes. I-Mop pad holder blue x 2. For use with the I-Mop Scrubber Dryer. I-Mop pad holder red x 2. For use with the I-Mop Scrubber Dryer. 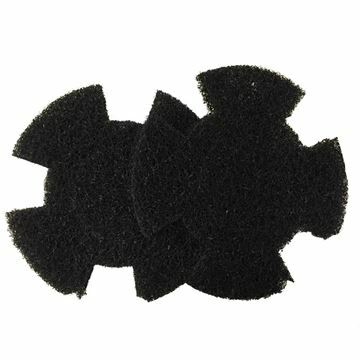 i-Mop™ Scrubbing Pad — Black. 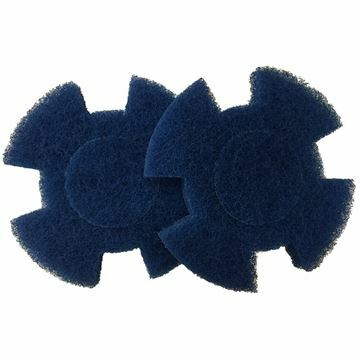 - Pack of 10.
i-Mop™ Scrubbing Pad — Blue. - Pack of 10.
i-Mop™ Scrubbing Pad — Green. - Pack of 10. 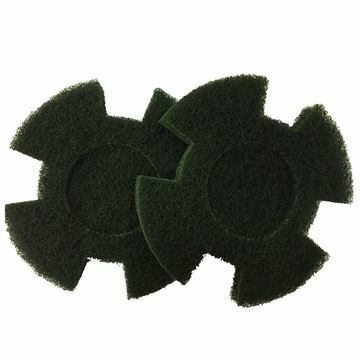 These distinctive green 9" twister floor pads, tough yet gentle, are designed for use with the I-MOP scrubber dryer machine.